Welcome to the Infinity 60% build guide! 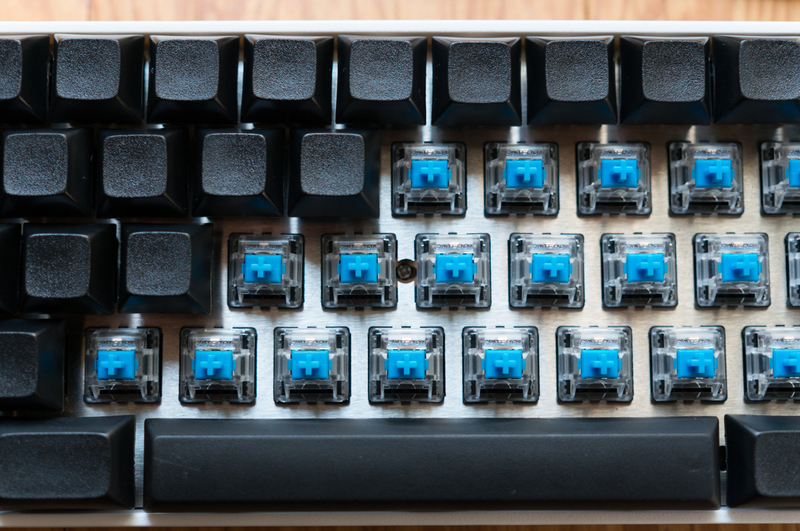 – If you are looking to program your Infinity 60%, please go to the Kiibohd Github page. – To configure new layouts for programming on to your keyboard use the configurator. Soldering iron. We recommend the Hakko FX888D as a basic starting point, as cheaper options may have significant quality issues. The iron should be set to 650-700F; temperatures above that can damage the component and/or circuit board. 63/37 leaded solder, with a no-clean (RA/RMA) flux core, and diameter of 0.032-0.064″. 60/40 is acceptable as well. Do not use solder with acid or water soluble flux. If you are missing components, please contact Massdrop support right away. Once you have accounted for all of the components it’s time to start the building process! 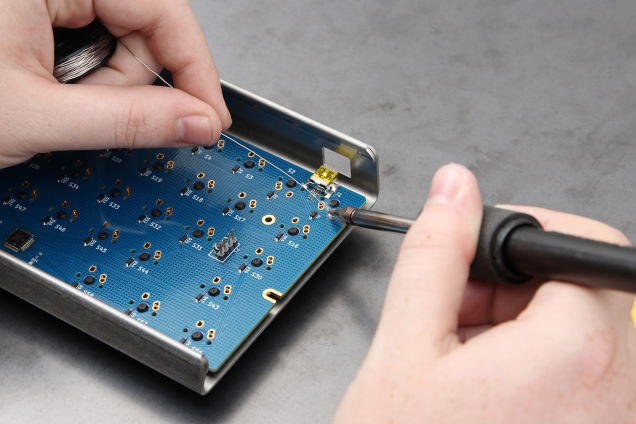 Remove the PCBs from their anti-static bags and verify all components are soldered in place. Note: Some components may not be perfectly straight and that’s OK! If some components are missing please contact Massdrop support for replacements. Insert the switches and stabilizer parts into the plate. The wire stabilizers may be a bit tricky at first, but the more uniform, springy feeling they provide is certainly worth the small extra effort. 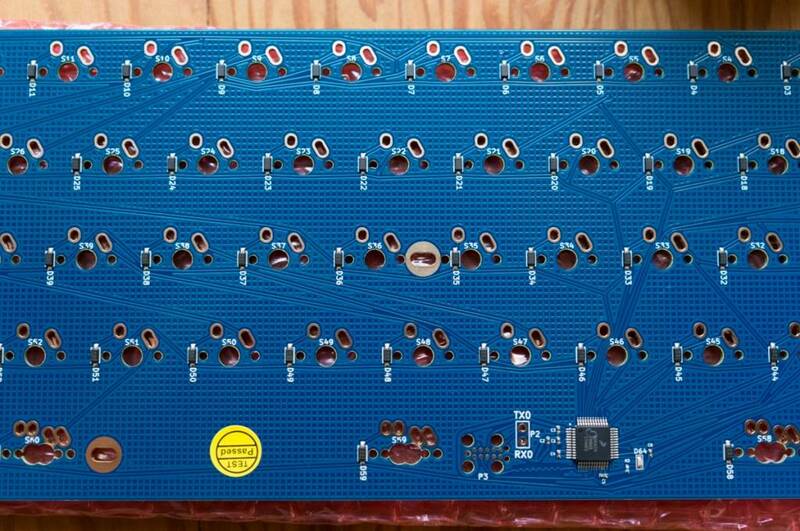 Once you have verified that every switch pin is poking out through the circuit board, it is time to solder the keyboard together. Make sure to double check that every switch is correct, as it is a much larger hassle to correct a mistake once you’ve begun! If you have an IC60 with through-hole LEDs, make sure to solder them with the long pin (anode) going to the square pad. Ensure that this is the case for the dual position switch locations as well, even if you have to flip the LED around. Note: This image is from a previous Infinity Keyboard and the switches around the USB port are upside down. 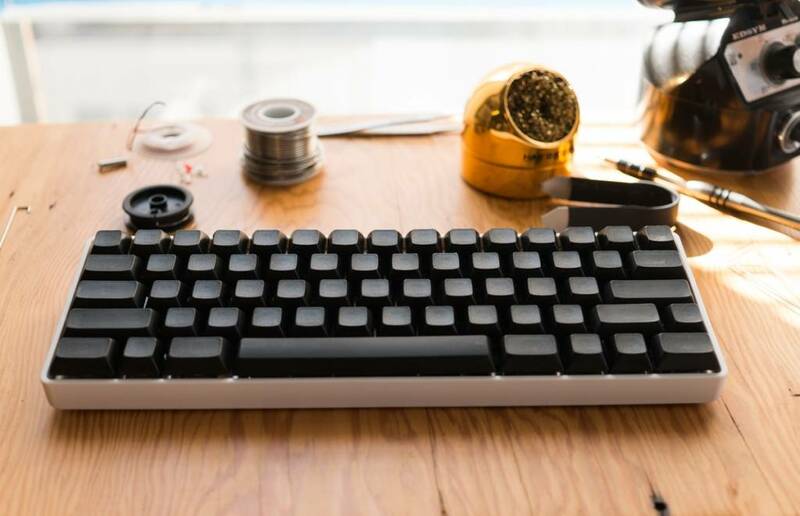 Current Infinity 60% keyboards are all oriented the same way. Place the keycaps on the switches and if you are happy with the default layout, you can plug in your keyboard and begin typing. 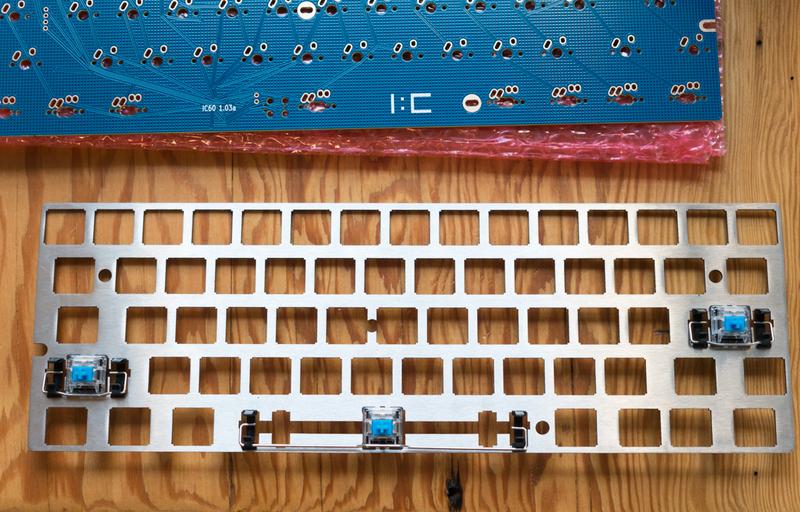 We’ve flashed a default layout so that it will work as soon as you finish soldering, but one of the core features to the Infinity keyboard is that you have the ability to configure the keys however you please. There are a few additional steps before you can exercise complete control over your board, and they do vary by operating system.